By admin in Uncategorized on April 8, 2019 . “Because that, when they knew God, they have not glorified him as God, or given thanks; but became vain in their thoughts, and their foolish heart was darkened. For professing themselves to be wise, they became fools. And they changed the glory of the incorruptible God into the likeness of the image of corruptible man…” (Romans 1: 21-23). The Church is now largely in the control of members of the hierarchy (especially Pope Francis and others close to him) who are promoting a Teilhardian view of cosmic evolution for man and all of creation. What this entails in regard to the natures of both God and man (and man’s relationship to God), has been explored in two of our articles: The Third Sorrowful Mystery: The Crowning with Thorns, and The Quintessential Evolutionist. We strongly recommend a careful reading of both of these articles in order to gain an understanding of this agenda. What is being promoted is the Becoming of man (even being so bold as to make Christ subject to this evolutionary process), at the expense of denying the Immutable Supreme Being of God and His Truth. Satan intends at the end of this process to have produced a “new man” (by means of a “new evangelization”), who will then look into the mirror of his own mind and heart, and walk away “forgetting what manner of man he was” (James 1: 24). “But I fear lest, as the serpent seduced Eve by his subtilty, so your minds should be corrupted, and fall from the simplicity that is in Christ…For such false apostles are deceitful workmen, transforming themselves into the apostles of Christ. And no wonder: for Satan himself transformeth himself into an angel of light.” (2 Cor 11:3, 13-14). If Satan is able to transform himself into the appearance of an angel of light in order to corrupt the human mind, this entails that he must corrupt language itself in order to pervert fundamental concepts and truths of the Catholic Faith. This is especially true of the virtues of faith, charity, and mercy. And it is also pre-eminently true of the concept of love, which as we shall see is related to, but not strictly to be identified with, any of these virtues. The “simplicity of Christ” of which Paul speaks requires that these virtues, in order to be lived truly by his faithful disciples, possess precise meanings and relationships to one another. It is by dissolving these precise meanings, and confusing their proper relationships, that the Devil is now enabled not only to promote a false mercy within the Church, but also to destroy everything integral to the Catholic truth that man is created in the image of God. We need to have recourse to the teachings of St. Thomas if we are to unmask all of the deceits involved in this campaign. “We see now through a glass in a dark manner; but then face to face. Now I know in part; but then I shall know even as I am known. And now there remain faith, hope, and charity, these three: but the greatest of these is charity.” (1 Cor 13: 12-13). This scripture (and others) is used to promote the notion that Doctrines of our Faith, and pastoral practices which reflect these doctrines by preventing certain persons from receiving Holy Communion, being involved in Catholic ministries, etc. are “intellectualizations” and rigid “rules” which must be torn down, or at least de-emphasized, in order to promote a “new evangelization” devoted to a charity and mercy which is superior to and supersedes such legalism. This view has been expressed by Pope Francis many times, and was perhaps most succinctly expressed in the following statement from his interview with Anthony Spadaro: “The saving love of God comes before moral and religious imperatives.” This is tantamount to making the absurd claim that the saving love of God comes before God’s Will and Truth. As we shall see, such a view falsifies not only faith, but also the virtues of charity and mercy which it falsely claims to champion. “The Apostle says (Heb. Xi. 1) that faith is the substance of things to be hoped for. Now the substance of a thing is that which comes first. Therefore faith is first among the virtues.” (ST, II-II, Q.4,A.7). Thomas goes on to say that “Faith, by its very nature, precedes all other virtues.” This is so because “the last end must of necessity be present to the intellect [through faith] before it is present to the will, since the will has no inclination for anything except in so far as it is apprehended by the intellect.” (Ibid.). The “last end” of which Thomas speaks is union with God in the Beatific Vision. St. Thomas writes, “Final and perfect happiness can consist in nothing else than the vision of the Divine Essence.” (I-II, Q.3, A.8). And just as faith precedes all other virtues in this life, so the fulfillment of the intellect in seeing the Essence of God in the Beatific Vision is the source of that rectitude of will (and therefore of love and charity) which of necessity will last for all eternity. In the words of Thomas, “Now it is impossible for anyone seeing the Divine Essence, to wish not to see It.” (I-II, Q.5, A.4). So while it is certainly true that faith will cease in Heaven because it is fulfilled in the Beatific Vision, the primacy of the intellect and the Absolute Truths of God to which it is united in this Vision remains. In image of the life of the Holy Trinity, love and charity (both of which are functions of the will) must always proceed from Truth, just as, within the Life of the Trinity, the Holy Spirit of Love must proceed not only from the Father, but also from the Son Who is the Word of Truth. In other words, in this life in which our intellects see God only in a “dark manner” through faith, which is an anticipation of the Beatific Vision, there can be no charity without this faith. And, most significant for our understanding of the relationship between faith and charity, “Just as mortal sin is contrary to charity, so is disbelief in one article of faith contrary to faith. Now charity does not remain in a man after one mortal sin. Therefore neither does faith, after a man disbelieves one article.” (II-II, Q.5, A.3). For someone to culpably doubt or disbelieve in even one article of our Faith therefore necessitates that charity totally ceases to exist in such a person. Any notion, therefore, that the demands of charity can supersede faith, or contradict faith, is a profound delusion of Satan. This primacy of faith is true despite the fact that in this life there can be a kind of perfection of the will which is not possible for the intellect. We may love God perfectly without now possessing that perfection of vision which is reserved for Heaven. But we cannot claim such a love if we in any way deny, or undermine, that faith which is ‘the substance of things hoped for” (Heb. 11:1), and therefore the substance of Who God is. Having established the primacy of faith, we are now in position to examine the concepts of love, charity, and mercy. It is a very common error to equate charity and love, and this is the source of a great deal of confusion and error. Before examining the supernatural virtue of charity itself (a necessary prelude to examining mercy), we therefore need to examine the nature of love. According to Thomas, love can simply be defined as an “appetency for the good” (or what is perceived as good). It exists on three levels. First, there is a natural appetite, implanted in all living creatures by God, and by which they tend to possess a natural love for themselves and maintain their own existence. This involves no knowledge or self-awareness on their part, but arises from an apprehension which is in the Author of their being (in other words, God knows what they need and orders their nature to what is good for them). We rightly speak on this level, for instance, when we say that the plants in our garden “love” the sunshine or spring rain. This is classically referred to as the “vegetative” appetite. Such “love” is also one part of man’s nature. Secondly, there is sense appetite which arises from sense apprehension within the subject of the appetite, but from necessity and not free will. This we associate with irrational animals, or with the lower, “animal” part of man’s nature. Thus, we can speak of a dog “loving” to chase a stick, or even “loving” his master. Or we can speak of a man “loving” his whiskey. Thirdly, there is intellectual appetite (which is called the will) which arises from the free choice of a spiritual being possessing intellect and free will. This sort of appetite belongs only to spiritual beings. All of this, as we can see, makes love a very complicated thing. Man possesses love on all three levels, and they interact with one another. It is astonishing to seriously consider the extent and ramifications of our use of the word love. I love God, I love my wife and children, I love to fish, I love pizza, I love my new hat. The lesbian loves her partner, the sadist loves to see people suffer, the ISIS soldier loves to kill Christians. All of these are real acts of love on one level or another, with tremendously varying degrees of truth, or perversion of the truth, determining what is pursued as “good”. But the fact is that all of these indeed do involve love. What makes love immeasurably complicated is that it runs the gamut from the most unconscious and insensitive part of human nature, through all the passions, and finally to the highest act of love of God. When we combine this with the fact that even the worst evil can be perceived by some people as good, and thus loved, there would seem to be no limit to the number of “loves” possible to the human heart. Love is undoubtedly the most “universal” of words, and therefore the most easily misunderstood, misused, and manipulated of all the words in our English language. Our Lord asked his disciples whether they thought that there would be any faith left when He returns. In light of recent history, this can indeed be seen as a legitimate question. We may be assured, however, that at His coming there will be many loves. Any good Catholic will probably feel repelled by the above analysis of love. It is rightly natural for us as Christians to wish to protect the word “love” from anything “low”. After all, we read in Scripture that God is Love, that God so loved the world that He sent His Son to die for us, and that husbands and wives are to love one another as Christ loves His Church. Part of the problem, of course, is that in English we have only one word for love (unlike some languages – Greek, for instance). And although this word does have a legitimate, common use in terms of human psychology as analyzed above, Satan has become a master at destroying our language, concepts, and faith through false mixing of all these various “loves”. We therefore find ourselves in dire need of a crystal-clear concept and word which will extract us from this quick-sand of confusion. That word, and concept, is charity. There is only one kind of love which can and should, in terms of Catholic understanding, be called “charity”. “It is written (John 15:15): I will not now call you servants…but My friends. Now this was said to them by reason of nothing else than charity. Therefore charity is friendship.” (Ibid). To read carefully the entirety of John 15 is to see the nature of this friendship revealed in depth. It entails the elevation of man to the state of fully abiding in the love and truth of God. To raise man to this friendship is the reason why Christ sacrificed Himself on the Cross: “Greater love than this no man hath, that a man lay down his life for his friends.” (John 15:13). In the light of this teaching to be found in this chapter of John, the concept of friendship takes on a whole new depth of meaning. It reaches to the greatest depths of God’s love for man. When man responds through conversion, it establishes that state which we term “living in the state of sanctifying grace”. In Thomas’ words, “Charity is the life of the soul, even as the soul is the life of the body.” (Ibid, A.2). Correspondingly, the soul that does not possess charity does not possess sanctifying grace, is not in the state of friendship with God, and is spiritually dead. “Now the aspect under which our neighbor is to be loved, is God, since what we ought to love in our neighbor is that he may be in God. Hence it is clear that it is specifically the same act whereby we love God, and whereby we love our neighbor. Consequently the habit of charity extends not only to the love of God, but also to the love of our neighbor.” (II-II, Q.25, A.1). Charity is therefore a supernatural virtue which cannot abide with the darkness of either serious error or mortal sin. Moreover, we cannot speak of exercising charity towards our neighbors unless our primary love is expressed in the effort “that he may be in God.” Towards all those living in the darkness of unbelief or serious error this necessitates our working to convert them to the Catholic Faith. To those living in serious sin it requires our working for their moral conversion. We are friends with neither God nor our neighbor if we ignore, or are silent, in regard to this mandate from Christ. It is at this point that charity and love can be seen as identical. Charity is constituted as loving God above and in all things, and all things in God. It is also here, therefore, that our language concerning Christian love of our neighbor becomes fully clarified. If, for instance, we examine a Greek-English concordance of the New Testament, we will find that the Greek word that is used for this love of our neighbor is the same as the word for charity. Agapaō is employed for the verb form, to love. Agapē is used for the noun charity. And agapē is defined as that specific form of love which is friendship. All true love of our neighbor therefore becomes identified with that virtue of charity which seeks his friendship in God. And since “it is impossible to please God without faith”, it is impossible to please God without seeking the conversion to the Catholic faith of those who are in mortal sin, or those who do not possess that faith. There is therefore no charity, or true love of our neighbor in a silence or complicity which lies down in friendship with error and sin. Moreover, we cannot claim to retain our own friendship with Christ if we become advocates of such a silence in pursuit of a false mercy: “Adulterers, know you not that the friendship of this world is the enemy of God?” (James 4:4). 1). Mercy, as practiced by man, must be subjected to the demands of charity (the theological virtue of love). And since charity can only be defined as living in friendship with God in the state of sanctifying grace, any action on our part towards our neighbor which compromises or denies the demands of this friendship represents a false mercy. Such, for instance, would include any agenda to admit the divorced and remarried, homosexuals, or those practicing contraception to sacramental communion. This would constitute sacrilege, and sacrilege is the supreme act by which charity is defiled. 2). Charity itself must be subjected to the demands of faith. As Thomas writes, “charity is the form of faith”, because it is to be identified with that love of God which submits fully to God as He has revealed Himself. There can be no charity where faith is denied, compromised, or hidden behind a wall of silence. 3). In all of this, faith is the “first of the virtues”, because only a mind united to the Revealed Truths of God can be the source of that rectitude of will which expresses itself in charity and friendship with God, and in true love and mercy towards our neighbor. It may be truly concluded, therefore, that recent efforts in pursuit of a false mercy which seek to de-emphasize the intellectual and doctrinal content of the Faith mask a Satanically-inspired hatred of the soul of man. This does not mean that popes, bishops, priests, religious, or laity who promote such an agenda personally possess this hatred themselves. In order to be effective tools for the accomplishment of this agenda, it is only necessary that they be moved away from certain foundational principles of all Catholic thinking and faith. St. Paul writes: “Yet now he hath reconciled in the body of his flesh through death, to present you holy and unspotted, and blameless before him: If so ye continue in the faith, grounded and settled, and immoveable from the hope of the gospel which you have heard…’ (Col 1:22-23). The present Pope and many others now in possession of great authority within the Church have been moved away from this gospel and this hope. There is now no charity or mercy in our being silent towards them, or towards what they are now trying to accomplish. The primary, and very well organized, venue which is being used to force this agenda upon the universal Church is the yearly Synod of Bishops. And since the family is the fundamental unit of both civil society and the Church, it was especially at the 2015 Synod on the Family that the fundamental heresy necessary for the furtherance of this agenda was propagated. We will explore this subject in our next article. Finally, it must be realized that virtually all the positions of influence (media), money, and power, both in the Church and the world, are now in the hands of the enemy. There is no human solution to what is now befalling us. All that has been (or will be) written here therefore has one purpose: to convince readers that our only solution lies in the supernatural grace which has been promised through the Triumph of the Immaculate Heart of Mary, and that this can be accessed only through fulfillment of Our Lady’s plan. The only question now remaining is whether we will comply with God’s plan through Mary before total chaos descends upon us and those we love. We again, therefore, ask all readers to seriously read our Original Proposal, and to promote what is requested therein. 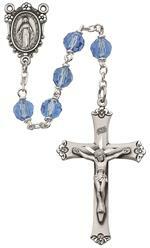 Please pray the Rosary for the Purification of the Church!